Two stories from the Wynyard community. 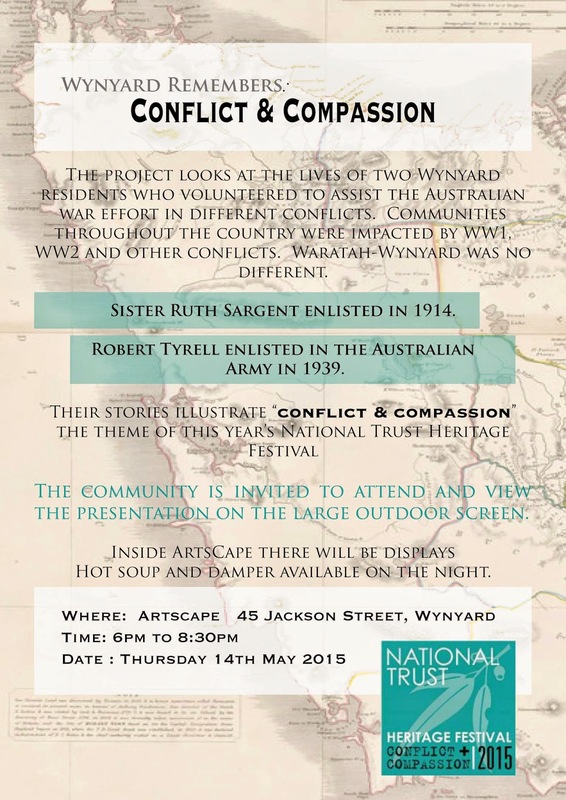 Their stories illustrate “conflict & compassion” the theme of this year’s National Trust Heritage Festival. Inside ArtsCape there will be displays. Hot soup and damper will be available on the night. It will be an unforgettable evening.